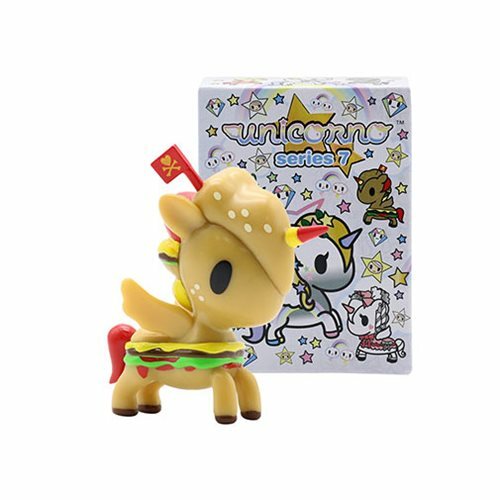 From somewhere between the magical kingdom and our world, comes the Tokidoki Unicornos! These delightful 2 3/4-inch tall PVC creatures are ready for play or display! 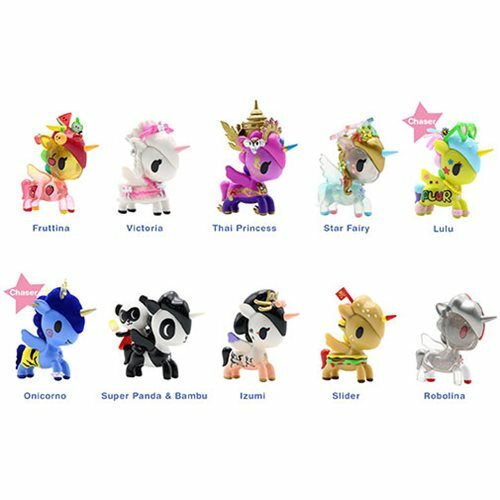 12 adorable Unicornos make up Series 7. Which ones will you get? Ages 8 and up. 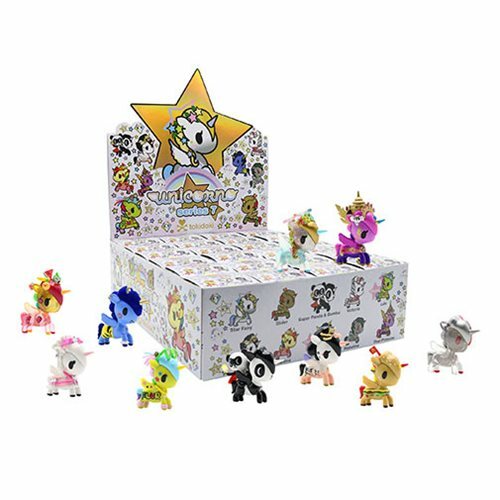 This Tokidoki Unicorno Series 7 Vinyl Figure Display Box contains 24 individually packaged blind boxes.